A simple look for a rustic homey feel. 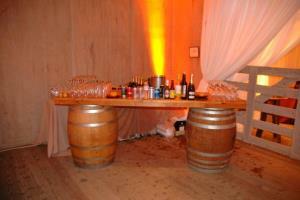 Includes two barrels and table top. Great for wine and cheese parties and georgic events. Would look wonderful paired up with our X-back wooden chair.